Family Guy and creator wallpaper. As the penulis describes it: ''This is from the Site Seth MacFarlane Unlimited''. 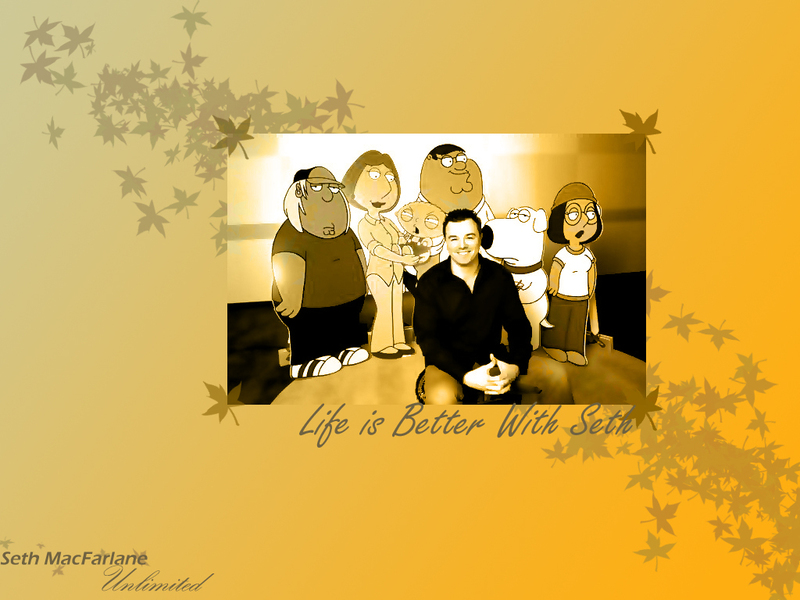 HD Wallpaper and background images in the Seth MacFarlane club tagged: seth macfarlane family guy wallpaper. This Seth MacFarlane wallpaper might contain tanda, poster, teks, papan tulis, anime, komik, manga, and kartun.